When calling a pop up from a pie (with expand checked), is there a way to adjust the width of the popup? I’m not good at animation nodes. Where I can find some info about loops etc. Can you record a video and show me the tools you want to add. the default view.rotate mode is turntable, but holding shift+ctrl and dragging mmb would initialize view.rotate with trackball. You can add a macro for this tool. Here is an example. This is behaving a bit strangely: whole numbers only seem to have an effect once you get to ~4, 5, 6… but using decimals doesn’t have any effect. Wow, that was fast… thanks! Any idea what is causing it? I seem to be having some issues with the Pie Menus I use for switching my editing spaces. 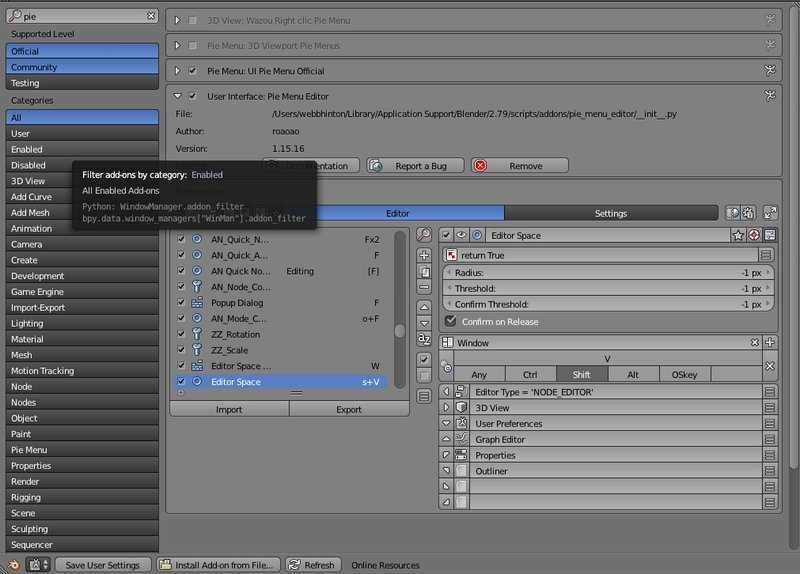 Whenever I restart blender, these Pie Menus no longer work. When I hit their shortcut, nothing happens. 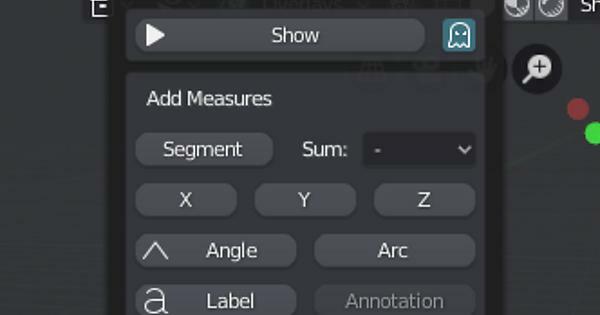 This only happens for me if the pie menu keymap is “Window”, and the items in the pie menu are values for the editor space. If I duplicate the Pie Menu and give it the same shortcut, or reset km_name for the menu, then the pie menu works again? I’ve tried removing and reinstalling PME. I want to add to my top toolbar popover “Measure It”. then i choose add as popover to toolbar layout top. 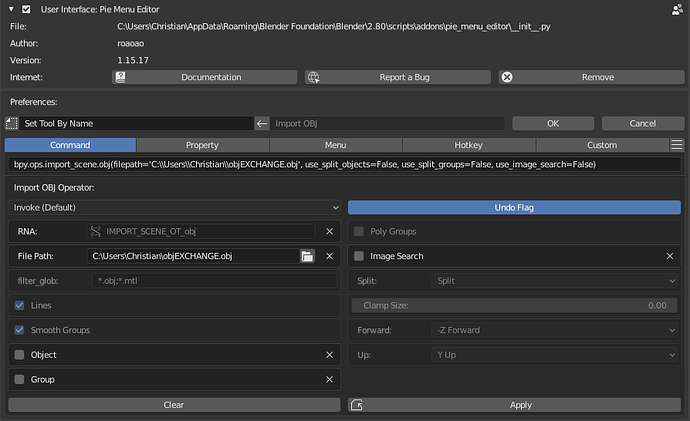 Looks like a bug in Blender 2.8. Will try to fix. Please export and send me this pie. Looks like that this panel is designed only for 3D View area. Yes, this issue needs to be fixed in Blender. Will try. this might be a simple or stupid question but is it possible to execute an .obj import with pie menu editor? i can get the addon to open the obj dialogue box but not to execute the command. if i paste the code into the “custom” field it gets executed … but without even pressing it by just opening the pie menu. Wait for someone smarter than me to answer but if you need it in a hurry wrap it in exec() in the command tab.